We at TS Freight offer our clients an array of customized packages for cargo shipping to Iran, in an effort to simplify their import from China to Iran or transport from Iran to China business needs. Our highly professional services are designed keeping in mind that your business is relying on our speed, agility and professionalism, which is why we guarantee that our expert services will never let you down. We can transport your goods from any of the major cities in China, including Hong Kong, Xiamen, Tianjin, Dalian, Shenzhen, Guangzhou, Shanghai, Ningbo, and more and deliver your goods to any of the main cities in Iran like Tehran, Tabriz, Mashhad, Karaj, Ahvaz, Shiraz, Kermanshah, Qom, and Isfahan, Orumiyeh, Rasht and more. We offer to pick up the cargo from the doorstep, and keep it safe until it has been delivered at the pre-decided address in Iran. Simply put, we take charge of all the other processes that come in between – be it packaging, inventory, documentation, custom clearance, loading or unloading of the cargo. Our staff is trained to understand the exact needs of your import from China to Iran business, so that they can advice you on the best cargo shipping to Iran packages via air or sea, based on the time sensitive nature of your cargo or your budget needs. 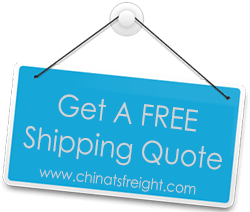 They will chart out the shortest route possible, and then suggest the fastest way to get your shipment from China to Iran, offering you the most competitive shipping price that will add more value to this deal.